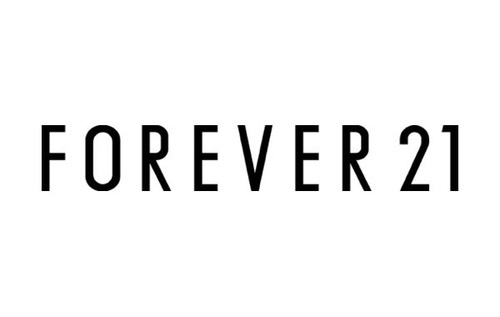 Fall is absolutely my favourite time of year! I love decorating my home for the season, and this year I decided to get crafty. 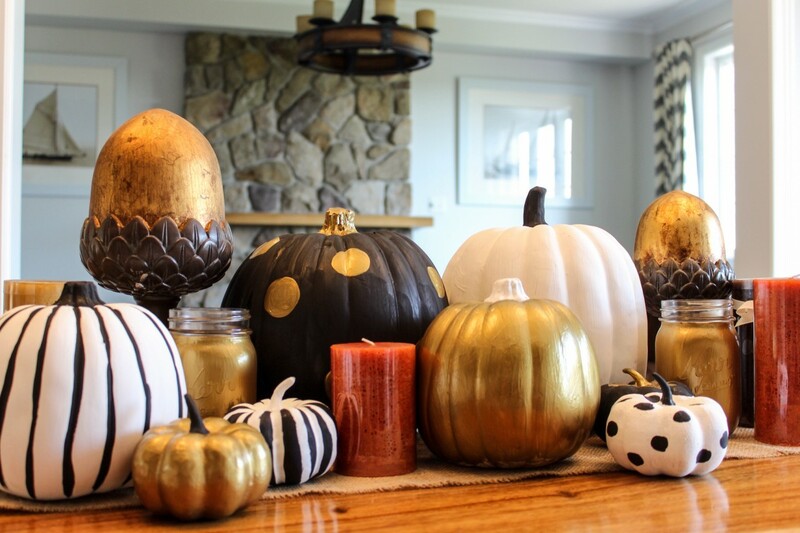 I wanted to get started early on my table decor for Thangsgiving, and I thought it would be an easy project to paint my own pumpkins. 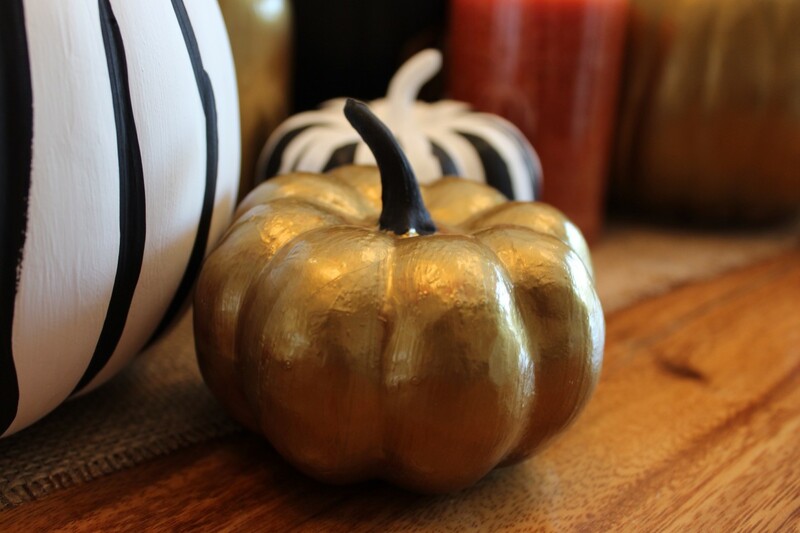 I have seen lots of painted pumpkins in stores, and I thought it would be fun to do it myself! I could have used real pumpkins, but I decided I may want to use these pumpkins again next year so I bought some fake ones. 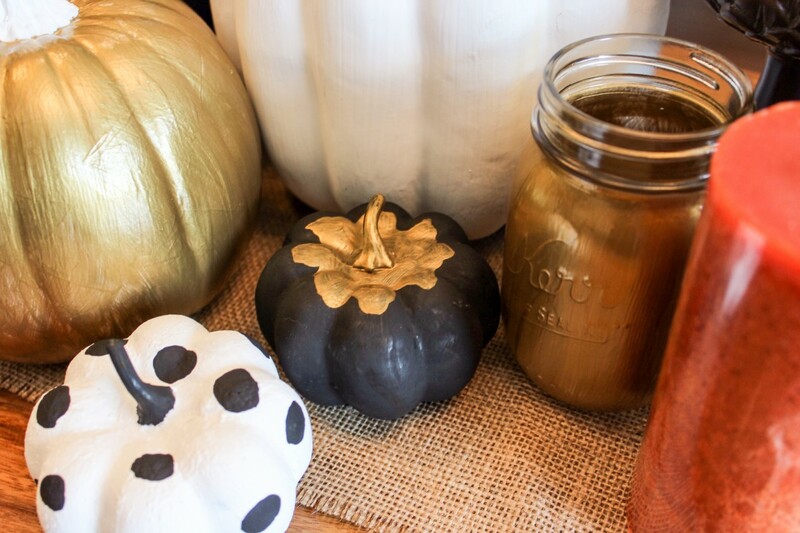 I picked up some paint from the dollar store, and also paint brushes, and a couple fake pumpkins which were only a dollar. 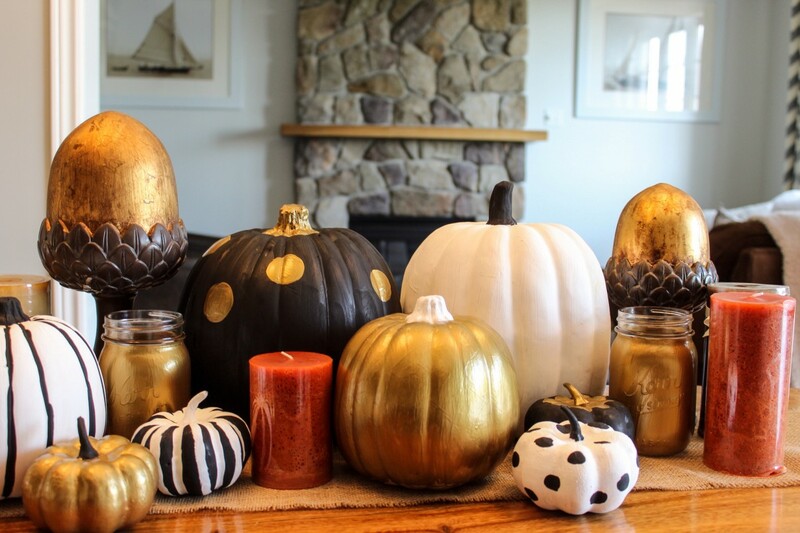 I also stopped at Michael’s craft store to grab a couple mason jars to paint, and a couple more fake pumpkins. Michael’s happened to have their pumpkins for 50% off which was great. 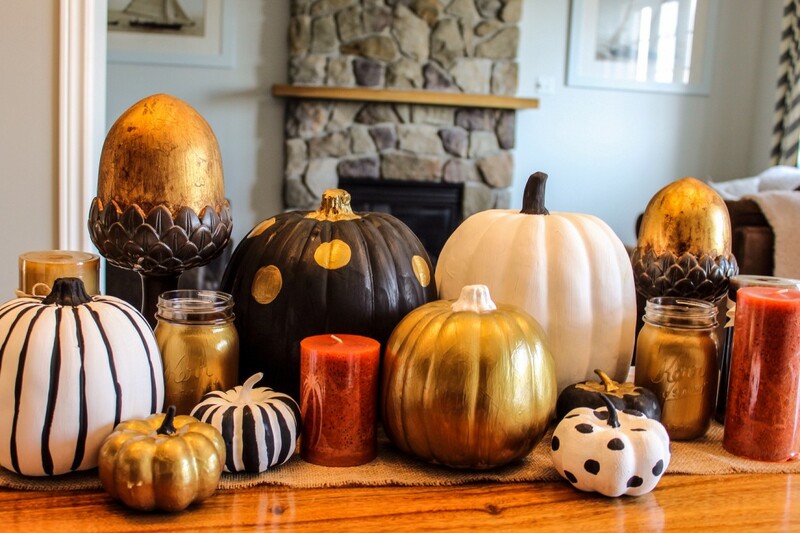 Even though the Michael’s pumpkins were already black and white, I painted them anyway to match the others. 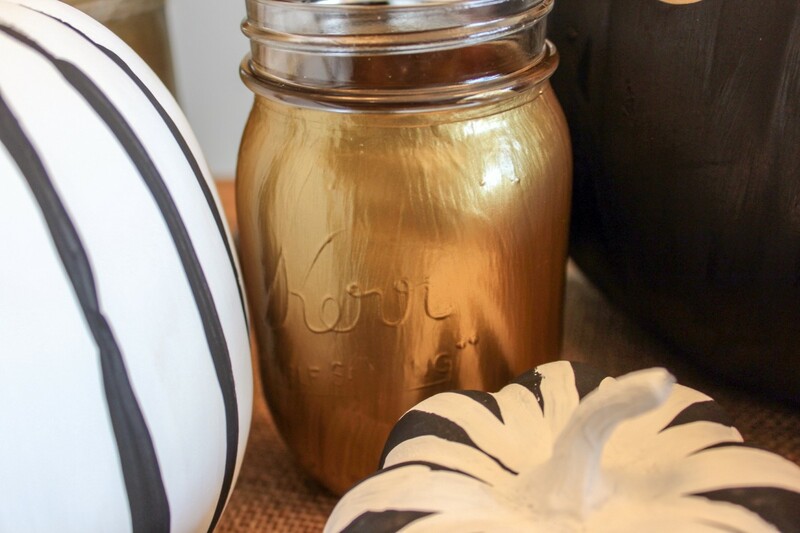 The mason jars were easy to paint, and with a few coats of gold they looked great! 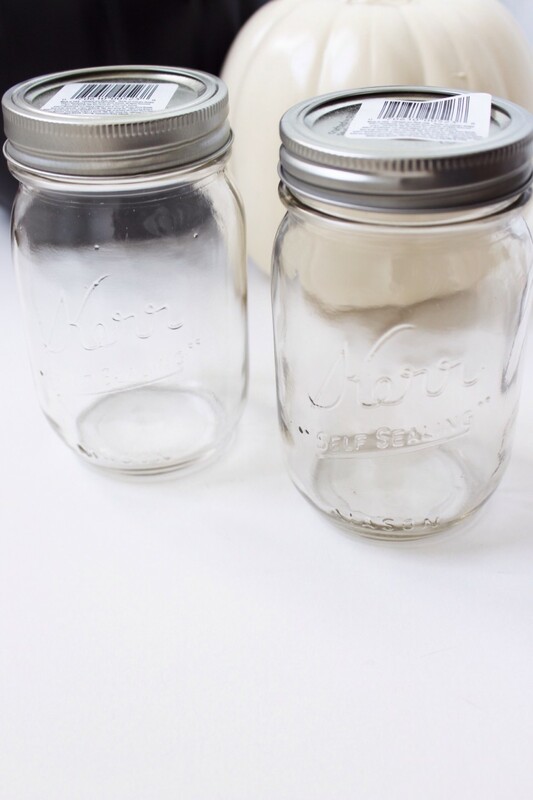 They are perfect candle holders for my centrepiece. I didn’t use a pattern for any of the pumpkins, and did everything free-hand. It was fun to just paint for a while – it was actually kind of relaxing! 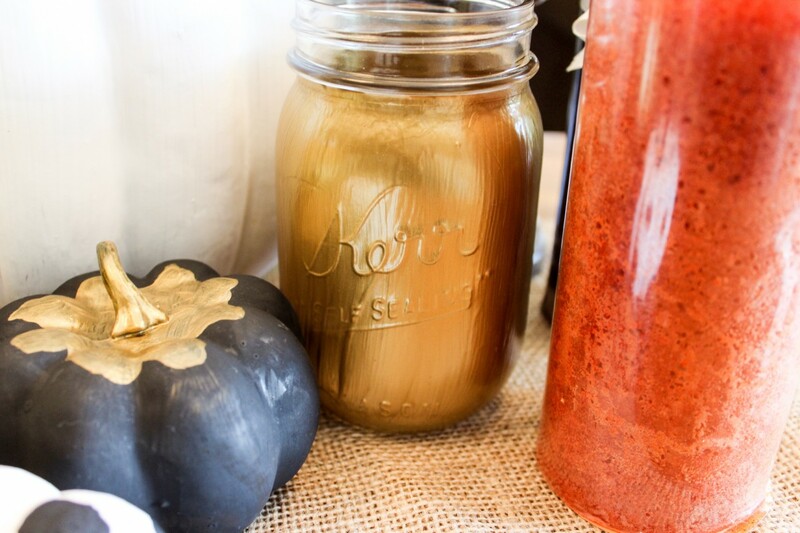 Once my pumpkins had dried I added some fall-coloured candles and a couple of my favourite acorn decor items I previously owned, and I had the burlap table runner I made for my Thanksgiving dinner last year to finish it off. I completed the whole project for under $30, and I think it looks pretty great! 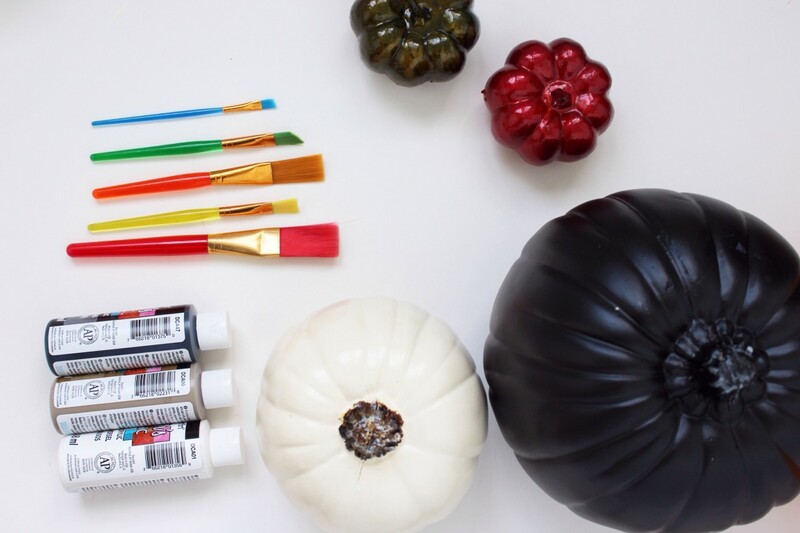 Hopefully this project inspires you to create your own fall decor items. Previous Post My Visit to the Benefit Boutique + My First Ever Eyebrow Wax!